Looking to set the scene for a scary party? Or, maybe you just have some vampires coming over to see if they have interest in buying the house. No matter what you need to get some spooky props fast! 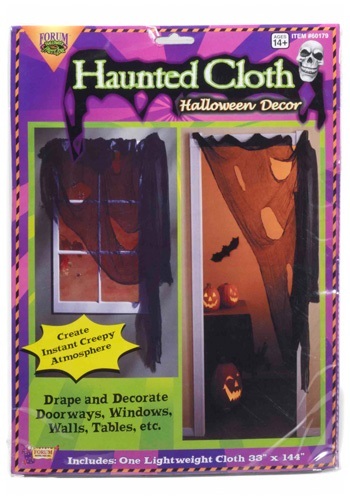 What better than a Haunted Cloth to make any house feel like a dark crypt. Perhaps it's just for the night, or something a little more permanent for the possible vampires. It will really help the home decor to add creepiness. 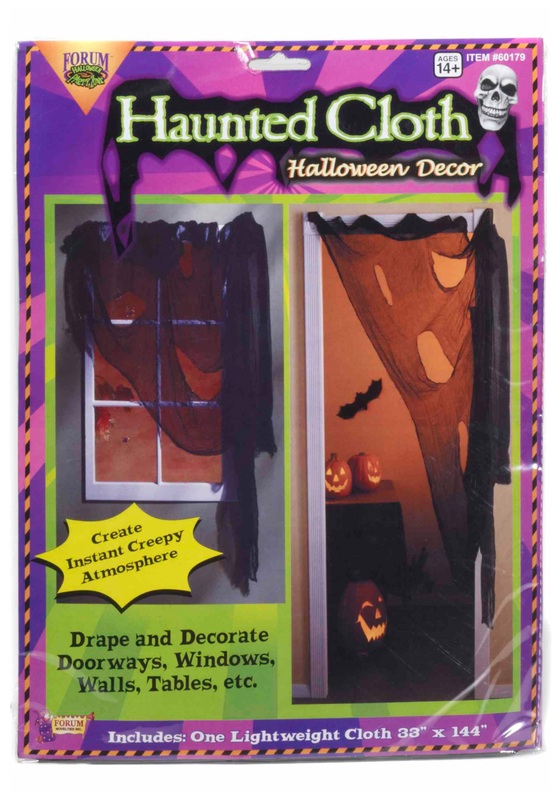 The Haunted Cloth will be your best bet on a spooky decor. The 100 percent polyester black cheesecloth will creep out your friends and family. It is 33 inches by 144 inches of spookiness. Pair with spiderwebs, and maybe some pumpkins to really create that scene you are going for.